Anyone else spend hours agonising over whether they should be feeding hay or haylage? Halfway through the winter there’s usually a panic as our horses develop coughs, behaviour changes, or put on weight. To help you decide, I’ve put together some pros and cons. Hay that is harvested later in the season, with a more straw like appearance has a lower energy value and contains more indigestible material so is a good forage choice for a good doer. Hay harvested in May and June has a high nutritional value, so is a good choice for performance horses. Hay can be stored for longer with less risk of mouldy developing. Hay has a lower nutritional value than haylage so is suitable for good doers. Hay is cheaper to buy than haylage. Can be dusty so horses may develop a dry cough and other respiratory problems. Hay can be soaked or steamed to reduce the dust content, but this is time consuming and soaked hay is very heavy. If hay hasn’t been dried properly, because it was rained on after it had been cut, then the grass leaf can shatter, which leads to a loss of nutritional goodness because two-thirds of the energy and three-quarters of the protein are stored in the leaf. You cannot guarantee good hay making weather, which means that the quality of hay can vary immensely year on year. A poor doer, or horse who needs to improve condition, won’t benefit from being fed hay as it is a lower nutritional value than haylage. Often a feed balancer needs to accompany the hay diet to ensure that the horse requires the correct balance of vitamins and minerals. Has a higher nutritional value than hay due to it consisting of younger plants so is a better feed for horses prone to weight loss. It has higher levels of digestible energy, fibre and protein. Is more palatable than hay so fussy eaters usually benefit from being offered haylage. 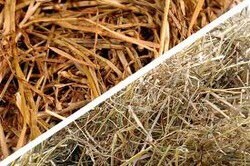 Haylage is usually “cleaner” than hay in that it has less dust or mould spores because the higher moisture level means the spores swell and stick to the stalks. The production of haylage is less weather dependent so crops of haylage are more consistent in quality. Haylage bales from propriety brands have nutritional analysis labels on each bale which helps you determine the exact quantity to feed. Specifically developed “high fibre eye grass haylage” has an energy level comparable to hay but retains the sweet smell and appeal of hay, so is a suitable option for fussy laminitics. Has a higher sugar content than hay due to it consisting of younger plants. This means it can cause excitable behaviour and isn’t suitable for horses with laminitis or PPID. Is acidic, which can upset the gut pH, and means it may not be suitable for horses prone to stomach ulcers. Because Haylage is more palatable than hay it isn’t suitable for good doers as they will gain weight rapidly. Some horses can develop diarrhoea from haylage due to the water content, which can lead to weight loss. The moisture content of haylage has an inverse relationship with the levels of protein, energy and fibre, so it can be difficult to ascertain if you are feeding enough haylage. If a haylage bale is left open for too long it dries out and becomes mouldy. Likewise haylage that has been in the manger for too long will dry out, the dust spores shrink and are inhaled, causing respiratory problems. You shouldn’t use haylage bales that have been damaged. Haylage is more expensive to buy than hay. Due to the higher water content in haylage you should feed more quantity of haylage compared to if you were feeding hay to the same horse. 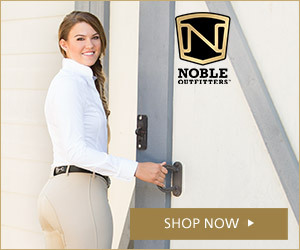 Obviously some of these comments are pros and cons, depending on your horse’s individual needs, but hopefully it has helped you in deciding whether you should feed your horse hay, haylage, or even a combination of the two! I do the same. I give him enough so that he has a small amount left in the morning. And I know so many people with fat ponies on haylage and in no work, or horses in light work on haylage and it’s blowing their brains…. I don’t think people have any sense sometimes! As requested by an avid reader … here’s an old blog about forage. Enjoy!